++ This year’s Villepinte event turned out to be a failure. The event not get any favourable coverage in spite of the presence of the notorious Rudi Giuliani, Newt Gingrich and many others including some Albanian wannabes. Instead there was substantive negative reporting in Farsi and non-Farsi media. Even their own supporters are talking against MEK. 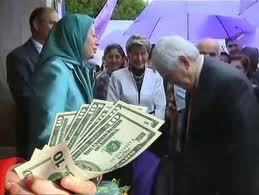 Their main complaint is that Rajavi cannot tolerate any other Iranian speaker on the same platform as herself. Nor can she attract an Iranian audience beyond her own loyal followers. Reporters from BBC, VOA and Radio Farda and elsewhere tried to get in to report the event but were refused entry. If accredited journalists can’t get in, it is nothing more than a totally stage-managed propaganda event held behind closed doors. ++ However, Iran International TV did report from Villepinte because they were contracted to broadcast the event live. 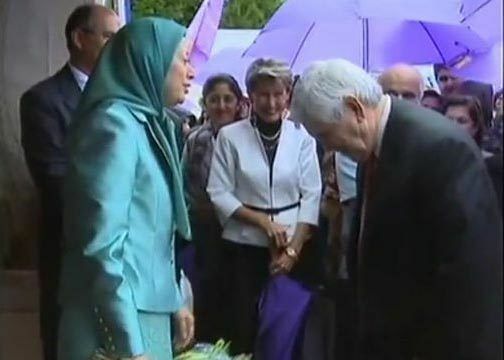 Even this did not work as debating guests on the day denounced Rajavi and her foreign backers. Reporting from Villepinte, Iran International TV showed tens of buses at the venue discharging audience members who were Eastern European students or asylum seekers (many were Syrians who look Iranian but carried Syrian flags and spoke Arabic). Inside the salon people were shown looking bored; even sleeping on benches in the salon because they didn’t speak either English or Farsi. Some simply admitted they were paid to come. Media, including the UK’s Guardian newspaper, widely reported that the audience could not exceed 4,000. 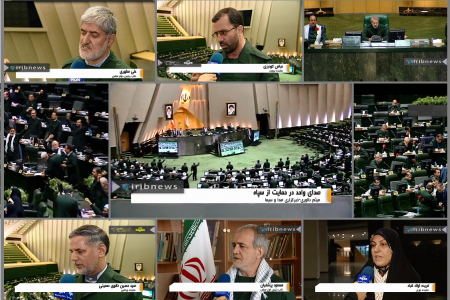 Iran International TV coverage showed that beyond the first few rows, the audience were mostly non-Iranians. 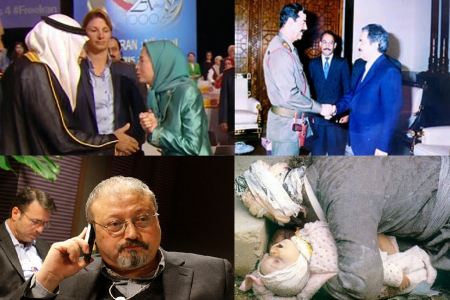 ++ Due to the failure of Villepinte, MEK apparently went to Plan B – which also failed. An Iranian man and wife were arrested in Belgium carrying 500g of a homemade explosive while on their way to France. 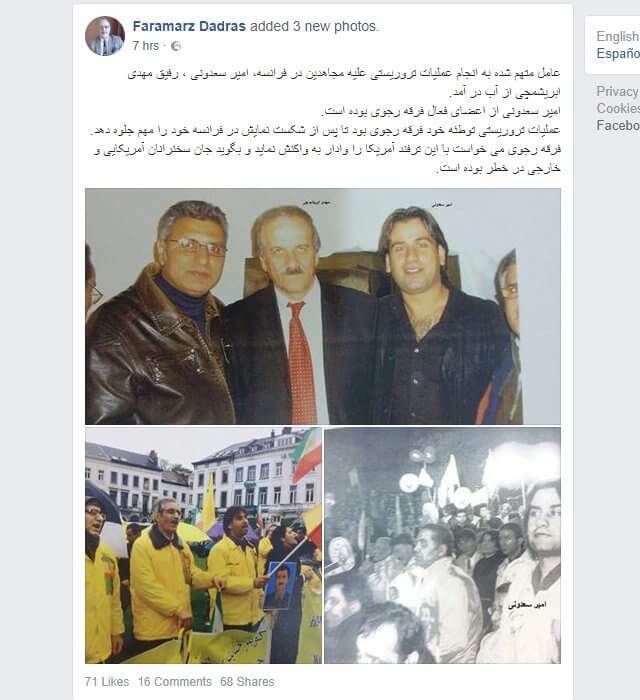 After their arrest they claimed that an Iranian diplomat from the embassy in Austria had ordered them to blow up the MEK in Villepinte. MEK did not reveal until later that those arrested are long serving MEK activists. It was claimed that Iran was behind the planned bombing because President Rouhani was due to visit Austria. 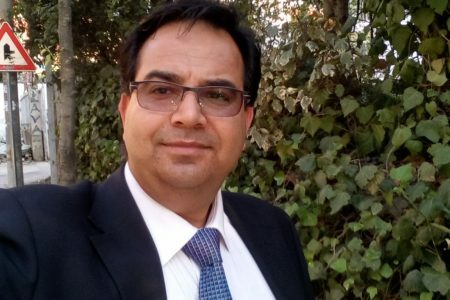 Putting aside issues of competence and potential outcome (500g), a simple ‘who benefits’ test leads us back to MEK and its arrested operatives. 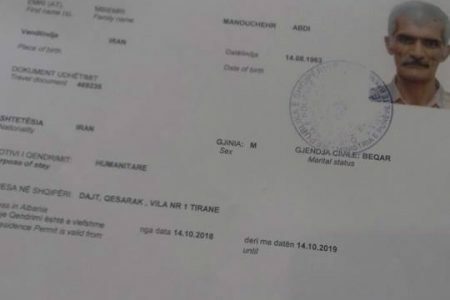 ++ Meanwhile in Albania, MEK claim that the body of drowned Malek Shara’i has been found. 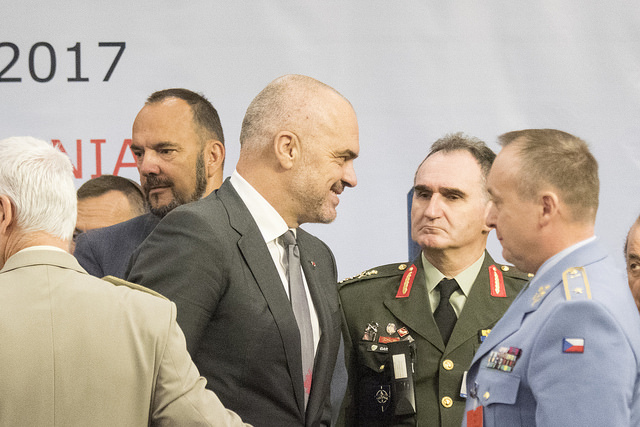 The Albanian authorities have made no such statement. A Coroner’s report should come next. 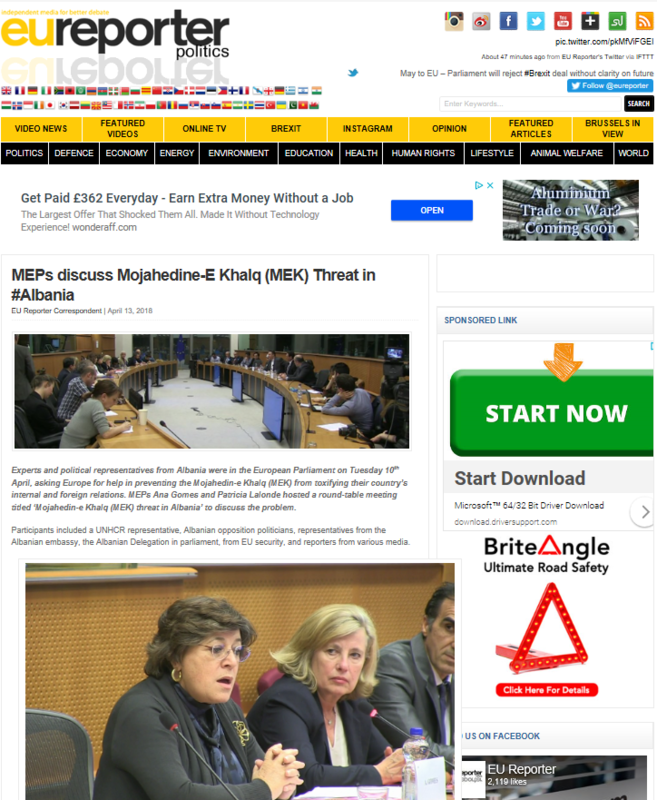 ++ Also in Albania, MEK are continually attacking ex-members in the streets physically and verbally, telling them ‘you can’t stay here, you have to go, Albania is ours because the Americans have given it to us’. MEK ‘encourage’ them to go to Greece with the promise of help to get them to Germany. When they arrive in Greece, MEK inform the authorities so the ex-member is forced to claim asylum in Greece where there is no social security or support. 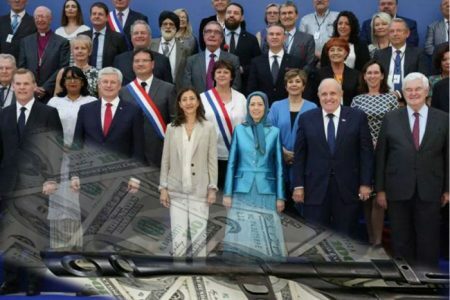 MEK target these individuals deliberately from among those who have no families to support them or whose families are too poor to send money. They are used as an example for others – ‘if you leave this will happen to you’. It is bad enough that prominent Americans and other Westerners lend support to a totalitarian cult because it happens to share their loathing of the Iranian government, but it is even worse that they are helping to rehabilitate this group as if it were a legitimate and democratic alternative to that government. 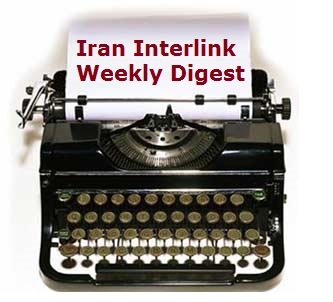 This not only whitewashes a despicable organization that has the blood of Americans and Iranians on its hands, but it is an insult to genuine Iranian political reformers and dissidents. The MEK has no support in Iran or the Iranian diaspora, and no one wants anything to do with it except for paid Western shills and the government of Saudi Arabia. No matter what happens in Iran, the MEK won’t be returning there next year or for a long time to come. 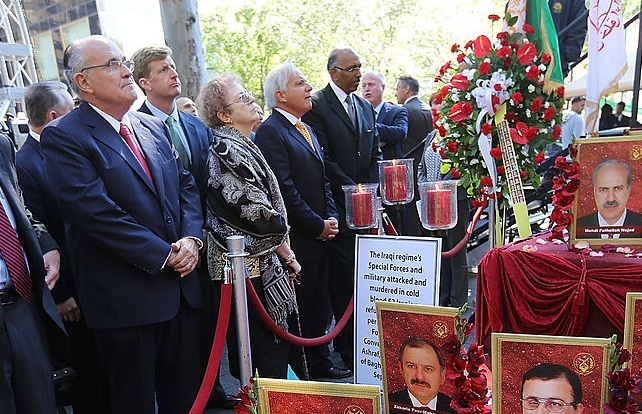 They are understandably reviled in Iran for their crimes and treachery, and anyone embracing them reveals an intense hostility to Iran and an equally profound ignorance of the country and its people. Unfortunately, Bolton, Giuliani, and Gingrich aren’t just has-beens getting paid to recite talking points. If they were, their support for this group might be disgraceful but ultimately irrelevant. 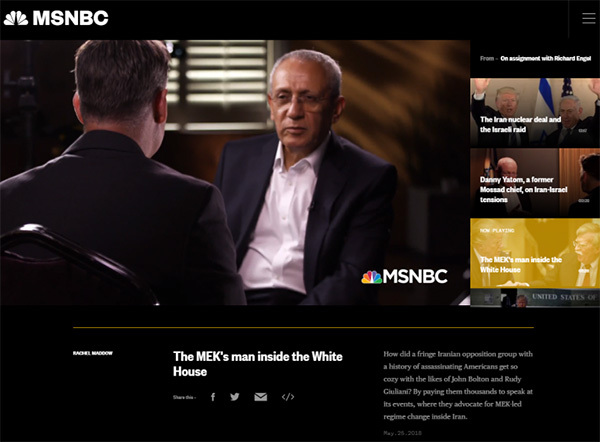 The danger is that these men are among Trump’s closest advisers and allies, and it seems more likely than not that they are pushing an agenda of regime change in Iran. As long as these Trump allies are cheerleading for the MEK publicly, we should assume that they are offering the president similarly warped and poisonous advice privately as well. 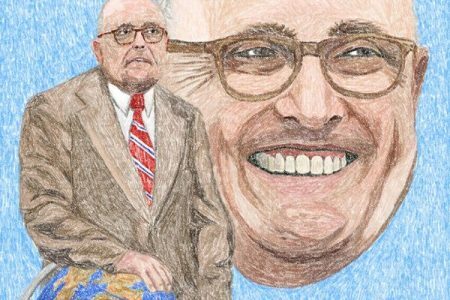 US President Donald Trump’s personal lawyer Rudy Giuliani has attended an event held by notorious MKO terrorists in Paris and called for regime change in Iran. “Freedom is right around the corner … Next year I want to have this convention in Tehran!” the former New York mayor and White House cyber security adviser told the annual anti-Iran event on Saturday. According to the British daily The Guardian, about 4,000 people attended the rally, many of them refugees and young eastern Europeans who had been bussed in for a weekend trip to Paris. They consisted of an assortment of bored-looking Poles, Czechs, Slovaks, Germans and Syrians who responded to a Facebook campaign promising travel, food and accommodation to Paris for a mere €25, the paper said. 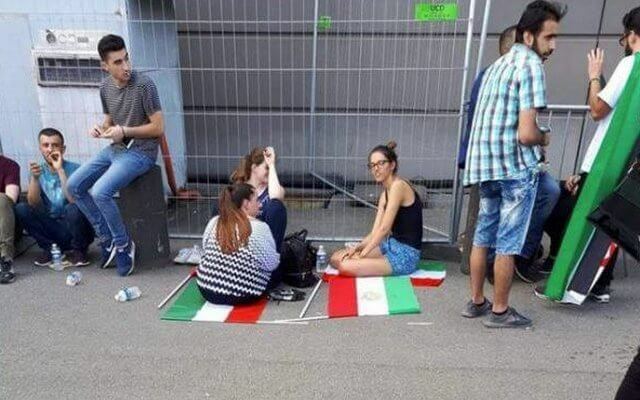 “Hundreds of Syrian refugees settled in Germany also attended. Many snoozed under trees during speeches,” it reported. Giuliani was one of 33 senior US officials and military brass at this year’s conference on Saturday, the paper said. He is one of a long line of American conservative hawks to attend the annual event. Another prominent guest on Saturday was Newt Gingrich, a former House speaker and a close Trump ally. Bill Richardson, former US ambassador to the United Nations, US energy secretary and Democratic governor of New Mexico, was also in attendance. It was unclear if the speakers at the conference were paid, the Guardian said, noting that the MKO has been known for paying very high fees to US politicians. “Most observers of Iranian politics say the MeK has minimal support in Iran and is widely hated for its use of violence and close links to Israeli intelligence,” the paper said, using an alternative name for the MKO. 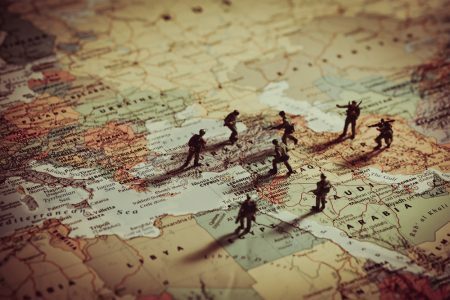 The terrorist group is further detested for collaborating with the former Iraqi dictator Saddam Hussein during his war on Iran in the 1980s and killing as many as 12,000 Iranians in a violent campaign of assassinations and bombings. 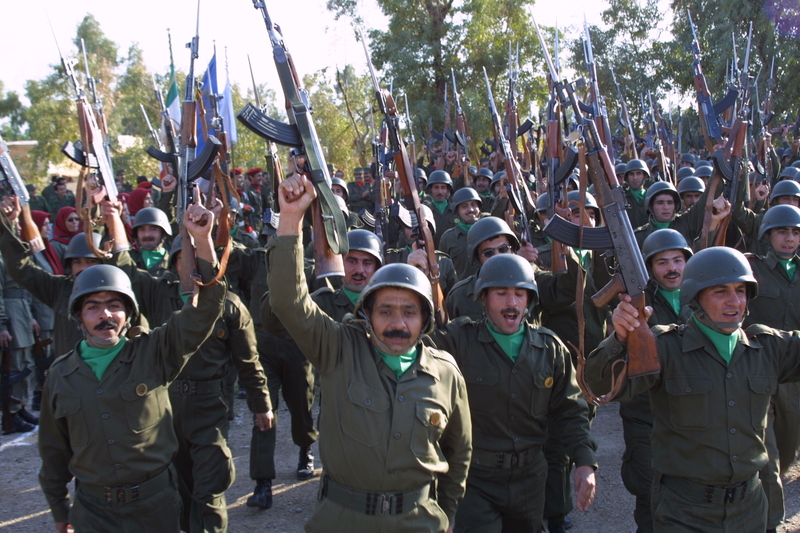 The MKO was once listed as a terrorist organisation in the US and Europe and is still widely viewed as a Marxist cult built around the personality of its leader, Maryam Rajavi. 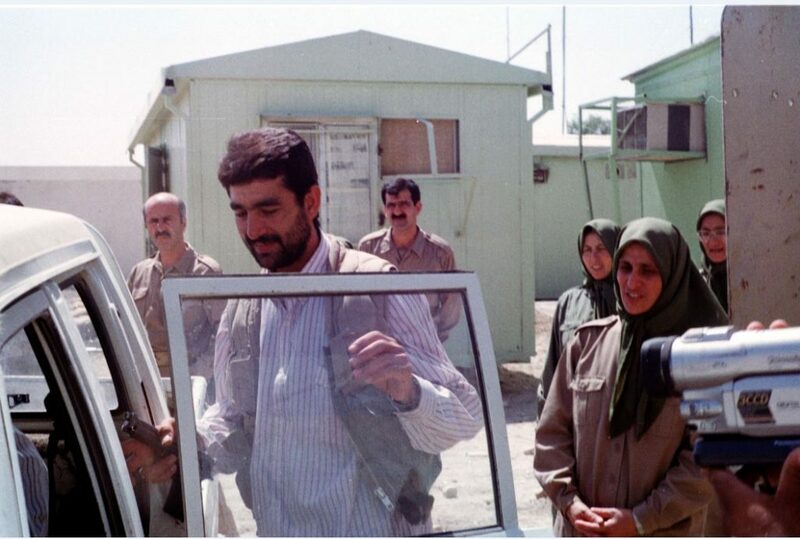 Some of its uncouth practices include forcing the group’s male members to divorce their wives and have them married to Rajavi’s husband Massoud. The terrorist group is also known for its extremely suppressive control over members in its camps where access to the Internet and other information sources is prohibited. Giuliani claimed that the fall of the government in Tehran would be brought about by economic isolation. “When the greatest economic power stops doing business with you, then you collapse … and the sanctions will become greater, greater and greater,” he said. The guest of honor at last year’s conference was John Bolton, who has since become Trump’s third national security adviser. Bolton told the 2017 rally US policy should be to make sure the Islamic Republic “will not last until its 40th birthday” on April 1, 2019. 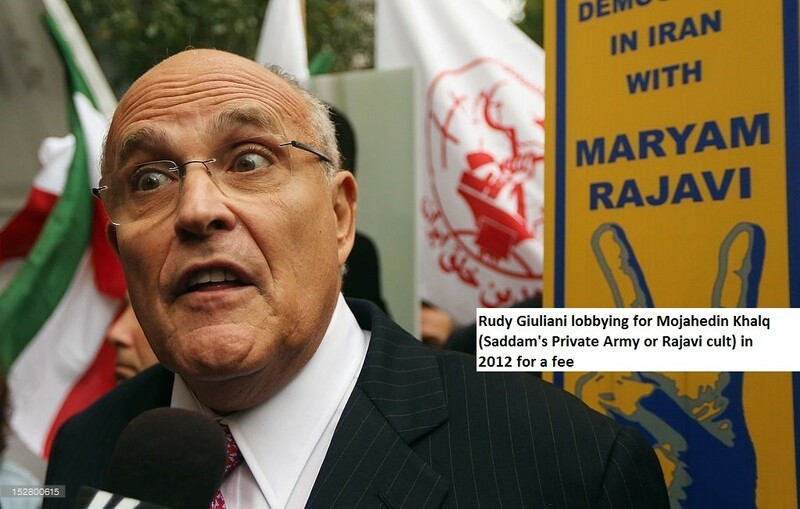 Giuliani spoke to the National Council of Resistance of Iran (NCRI), an umbrella coalition largely controlled by the Mujahedin-e-Khalq (MeK), which was once listed as a terrorist organisation in the US and Europe and is still widely viewed as a Marxist-Islamist cult built around the personality of its leader, Maryam Rajavi.“We are now realistically being able to see an end to the regime in Iran,” Giuliani told a crowd of about 4,000, many of them refugees and young eastern Europeans who had been bussed in to attend the rally in return for a weekend trip to Paris.“The mullahs must go, the ayatollah must go, and they must be replaced by a democratic government which Madam Rajavi represents,” Giuliani said. “Freedom is right around the corner … Next year I want to have this convention in Tehran!”The former New York mayor, who became a cyber security adviser in the White House before being named as Trump’s personal lawyer in April, is one of a long line of American conservative hawks to attend the NCRI annual conference. Another prominent guest on Saturday was Newt Gingrich, a former House speaker and a close Trump ally.In his speech, Giuliani said the fall of the government in Tehran would be brought about by economic isolation.“When the greatest economic power stops doing business with you, then you collapse … and the sanctions will become greater, greater and greater,” he said. The guest of honour at last year’s NCRI conference was John Bolton, who has since become Trump’s third national security adviser. Bolton told the 2017 rally US policy should be to make sure the Islamic Republic “will not last until its 40th birthday” – 1 April 2019. In sweltering temperatures on Saturday, about 4,000 people arrived by bus at the Parc des expositions centre. 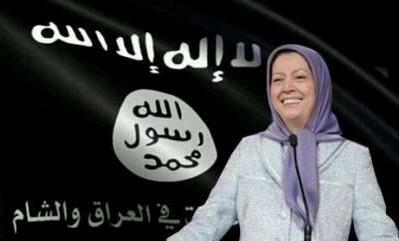 Many were draped in the MeK flag, which replaces the sign for “Allah” on the Iranian flag with a yellow lion. Others wore yellow sun hats displaying the hashtag “#Maryam Rajavi”. 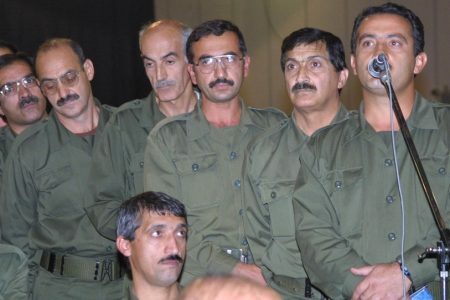 On Saturday a bunch of zealots got together in Paris to mark the annual meeting of the Mujahedin Khalq Organization (MKO), also referred to as Mujahedin-e Khalq (MEK) in foreign media outlets. Participants at the gathering were a number of American hawks such as Rudy Giuliani – Donald Trump’s personal lawyer and former New York mayor- a number of other former U.S. officials, former Canadian Prime Minister Stephen Harper, and a number of MKO members. 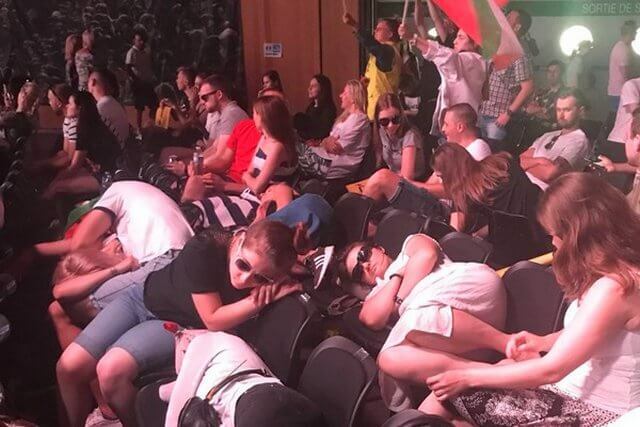 According to the Guardian, groups of bored-looking Poles, Czechs, Slovakians, Germans and Syrians also attended the event. The Guardian said they responded to a Facebook campaign promising travel, food and accommodation to Paris for a mere €25. 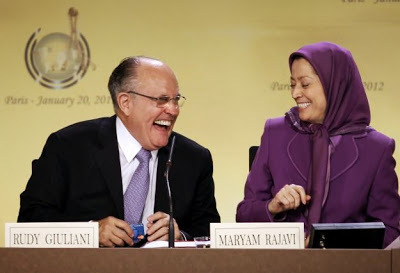 Anybody who is little bit familiar with the record of the MKO and the personality of its ringleaders including Maryam Rajavi cannot stop laughing when he notices that Giuliani told the gathering that the ruling system in Iran “must be replaced by a democratic government which Madam Rajavi represents”. 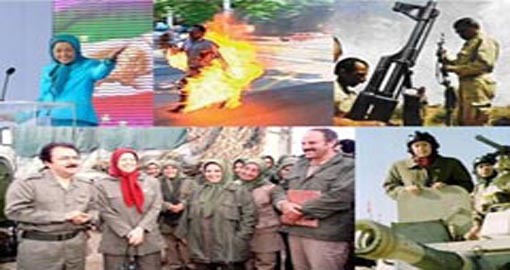 The MKO, a totalitarian cult group, is detested by all Iranians with different political persuasions. The people can never forget that they sided with Iraq’s Saddam Hussein during his war against Iran in the 1980s. The Iraqis also hate this group as Saddam Hussein used them to suppress opponents, especially the Kurds in northern Iraq. 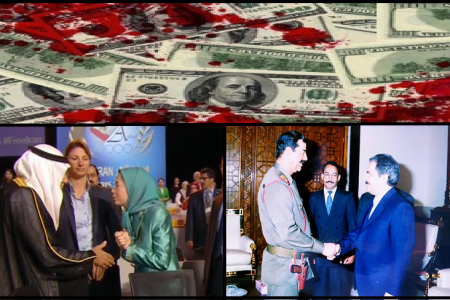 In addition to terrorist activities in the days of the 1979 revolution which the number of their victims reach about 17000, the MKO still commits acts of terror whenever it finds an opportunity. 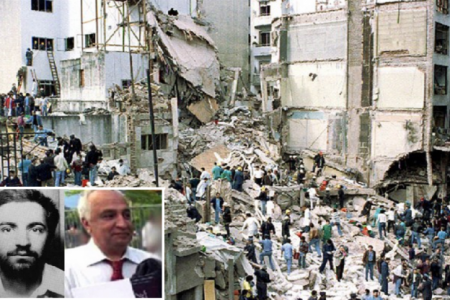 The assassination of Iranian nuclear experts on orders of the Israeli spy agency Mossad is an example. 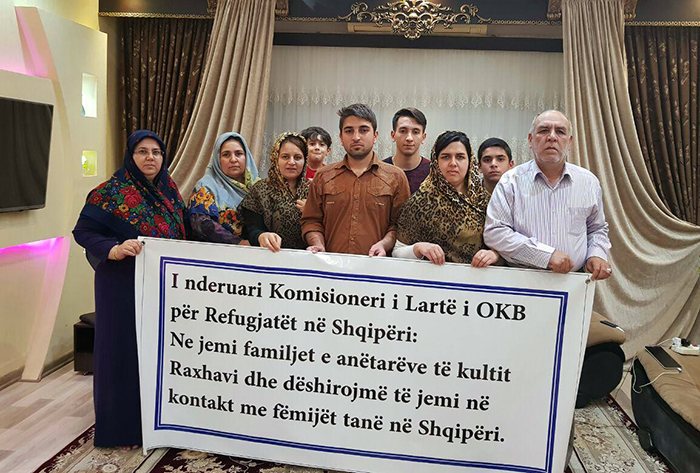 Those MKO members who had succeeded to flee from Camp Ashraf in Iraq have cited horrific stories about the group. 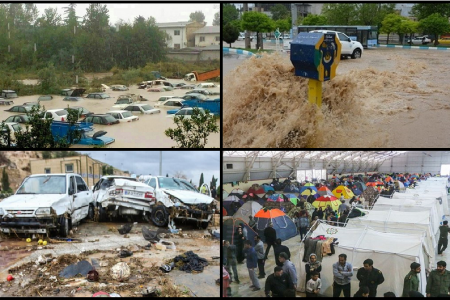 One may not expect persons like Maryam Rajavi and other MKO ringleaders to repent their past and apologize the Iranians because they have brainwashed and ruined the lives of hundreds of thousands of Iranian youth through their extreme political and religious dispositions. However, it is shocking to see that some figures like Giuliani and Newt Gingrich, a former House speaker and a close Trump ally, attend MKO conferences. It is noteworthy that John Bolton, who now acts as national security advisor to Trump, also attended the group’s meeting last year. When one sees such moves he asks himself: How can these figures, no matter how much hawkish they may be, attend the meetings of the MKO which its history is rife with terrorism and treason? No matter how much Giuliani, Bolton, Gingrich, Harper and other hawks hate the Islamic republic system but attending the gatherings of such an extreme group is disgraceful and self-inflicting otherwise we conclude that these persons are as stupid, bigoted, dangerous, and extreme as the MKO ringleaders. A picture posted by a follower of #IranHatesMEK (an acronym for the Mujahedin-e Khalq Organization, or MKO) depicts a portrait of MKO ringleader Maryam Rajavi against a backdrop of the US flag. A hashtag uniting those who detest the anti-Iran Mujahedin-e Khalq Organization (MKO) is accumulating a significant following on Twitter.Online users are hotly debating a recent annual gathering of the anti-Iran terrorist group, which turned out to have gathered largely a disinterested audience as mere extras.The MKO has a dark history of assassinations and bombings against the Iranian government and nation. It notoriously sided with former Iraqi dictator Saddam Hussein in his eight-year war against Iran in the 1980s.Out of the nearly 17,000 Iranians killed in terrorist assaults since the victory of Iran’s 1979 Islamic Revolution, about 12,000 have fallen victim to MKO’s acts of terror.The terrorist group also helped Saddam in his brutal crackdown on his opponents.Ticket to ParisThe gathering of the group last Saturday featured a ragtag crowd of youths, who would keep seizing opportunities to escape the venue for a snack or a nap.Later, some of them revealed they could not make much or any sense of what was being talked about at the event.“They invited you?” one was asked. “Yes, of course, like everybody here,” he answered.“Have you been inside? And… you don’t understand [what is being talked about]?” he was again asked.“No, nothing. [Just] speaking, speaking…, and I wanna sleep. And we come outside, drink, eat, relax…,” he said.“You came all over here just for the meeting?” a female was asked.“Yes, and to Paris…”“They paid for the whole trip, right?”“No, we have to pay something, but a small amount of money. I think it is a strategy to bring us here, and because it’s Paris, and they made it very cheap so they can have their rally,” she said.The ticket to Paris also reportedly wooed in many Afghans, who said they knew naught about Iranian politics. Newt Gingrich, a former speaker of the US House of Representatives and a close associate of US President Donald Trump, is seen in this frame grab addressing an annual gathering of the anti-Iran terrorist Mujahedin-e Khalq Organization (MKO), in Paris, France, on July 1, 2017. 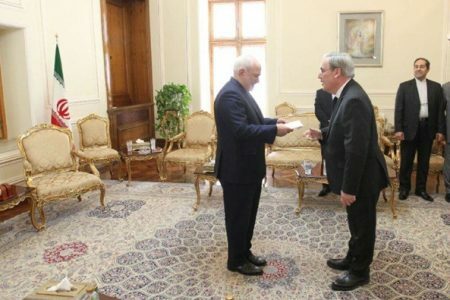 Also present at the meeting were Newt Gingrich, a former speaker of the US House of Representatives and a close associate of US President Donald Trump, as well as former US official John Bolton, who are two habitués to anti-Iran gatherings. 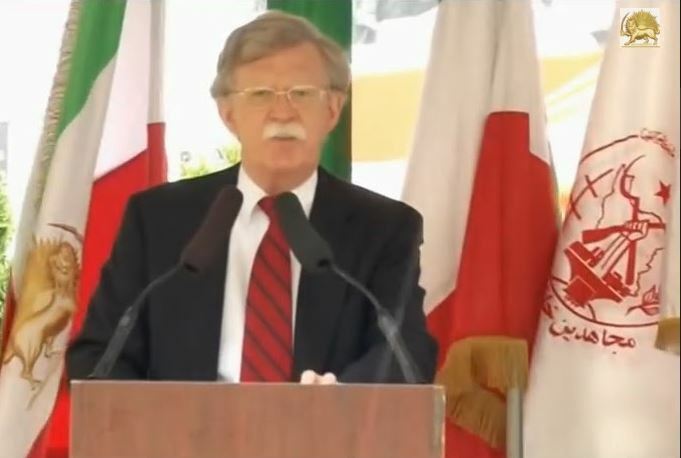 Former US official John Bolton is seen in this frame grab addressing an annual gathering of the anti-Iran terrorist Mujahedin-e Khalq Organization (MKO), in Paris, France, on July 1, 2017. Preaching democracySome European and Saudi officials, including former Saudi Arabian spy chief, Prince Turki al-Faisal, also addressed the meeting.Paris had hosted a previous convention of the MKO, which Faisal also attended.During the events, MKO ringleader Maryam Rajavi and Faisal have been campaigning for the “establishment of democracy in Iran.”This is while elections are held in Iran regularly, as opposed to Saudi Arabia, where an absolute monarchy rules and where the ruling family has put its name on the country.Online reactionsThose contributing to #IranHatesMEK — MEK is another acronym for the MKO — are reminding the world of the atrocities and are questioning Paris, Riyadh, and Washington’s sponsorship of the group’s continued existence.“The Last One”‏ uploaded a picture of Maryam Rajavi and wrote, “Not any thief has mask on his/her face! 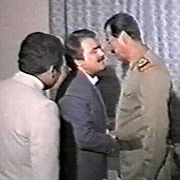 Not any terrorist has gun in his/her hand!”“Good old days: #MEK leader received shelter & fund from Saddam when he was a US ally in 1980s,” wrote another user, who incorporated a picture featuring a handshake between former MKO head Massoud Rajavi and Saddam Hussein. “Traitors that sided with a foreign country to attack their own no longer have the right to call themselves Iranian,” read another tweet.“If France was going to react to the massacres committed by #MEK, the #EiffelTower would blackout like forever,” and “Hey France! You are shelter of our murderers, can we judge you?” read two other tweets.